As there is a significant growth of demand on aircraft maintenance staff in the aviation industry, Despark College, who envisioned to nurture sufficient competent professionals to serve the engineering industry, offers Aircraft Maintenance Engineering Course for aviation enthusiasts. With an extensive syllabus, Despark’s Aircraft Maintenance Engineering Program is a stepping-stone to certifying aircraft worthiness as the syllabus designed incorporates with the DCA examination. Students will be trained to be proficient aircraft maintenance engineers to be licensed individuals who responsible by ensuring the aircraft are airworthy in accordance with local and international aviation standards. To become a licensed aircraft maintenance engineer, students are required to complete their training and learn all of the sections of Local Aviation Regulations. 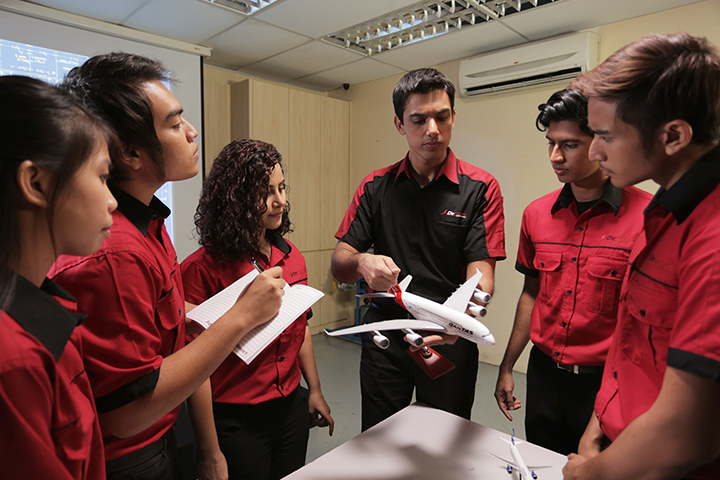 The aircraft maintenance engineering Course syllabus includes aerodynamic & Flight Control, Aviation Legislation, Piston Engine, Gas Turbine Engine II, Aircraft Landing Gear and more extensive subjects. Despark College provides a hands-on environment for students to explore the studies of aircraft maintenance. Despark College features with lecture rooms, maintenance practice workshop, engine bay to allow students to gain more hands on experience. Despark College provides state-of-the-art academic facilities, quality education environment and excellence professional training programmes. Our trainers are exposed to advanced techniques to increase their training ability and pass on new knowledge to produce professional manpower. Despark College is committed to equip future graduates with the knowledge and skills necessary to work and excel in the ever more competitive global environment. Copyright © 2016 Despark College. All Rights Reserved.